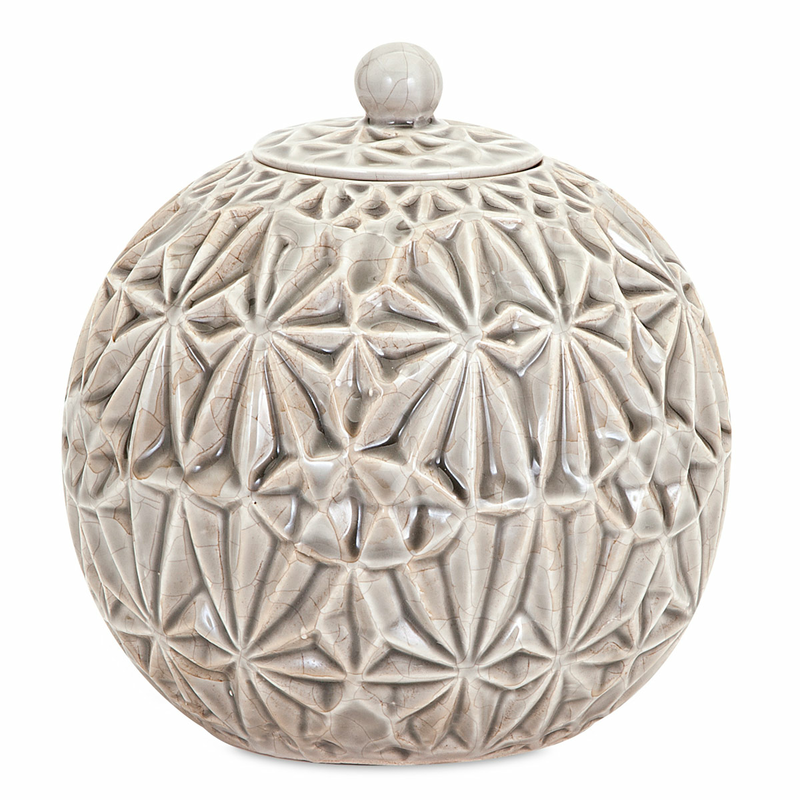 Create a seaside mood in your living room with the Creamy Star Canister - Small, enhanced with a star-like pattern and a creamy, crackle glaze for a heavenly, textural feel. This coastal kitchen decor ships from the manufacturer. Allow 1 week. Cannot express ship. For further products, we ask you to make time to browse our comprehensive inventory of coastal kitcen decor at Bella Coastal Decor now.